We strive to ensure that Sumas is a company with zero tolerance for conduct that not only protects Sumas employees, but also the public and the environment. reduce risks and improve the working conditions on and off-site. As a result, Sumas implements stringent safety protocols for its employees or other sub-contractors working under the Sumas umbrella. Implementation of such a program is only effective when all employees are fully aware of the protocols and procedures. Sumas strives to achieve this end by setting up worker/management meetings and the most up to date training for its entire staff and employees. 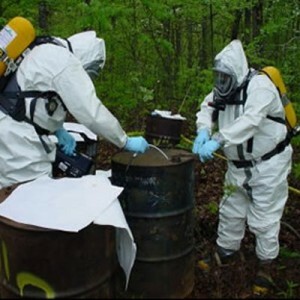 To prevent exposure to chemicals expected to be on the site, personnel will use PPE (Personal Protective Equipment) appropriate to the situation. All field personnel will wear as a minimum modified level D personal protective equipment that may include protective gloves, CSA approved steel-toed chemical resistant boots, hard hats and eye protection. No person will be admitted to the site without the proper safety equipment clearance or other approval. The onsite Health and Safety Officers will be responsible for ensuring that an accident prevention plan is implemented for each project. The Health and Safety Officer will also ensure that all personnel understand safety requirements through onsite briefings and will also be responsible for overall layout of the work area. The work area will frequently be inspected to ensure it is maintained in a neat and clean manner. All Sumas personnel have on-going training in WHMIS, TDG, First Aid and WCB regulations.